Following an extension and major refurbishment work to their much loved family home, a client approached us to commission a simple, contemporary styled bookcase in walnut. 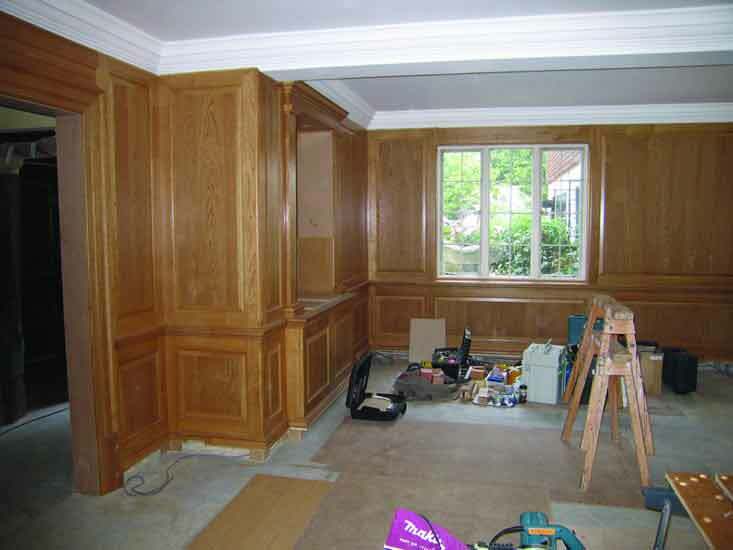 This bespoke furniture consisted of three bays, with a plain bold pilaster between each; each library bay being sub-divided and fitted with adjustable shelves supported on semi-concealed solid brass pegs. The lower section of the bookcases provide for storage behind doors. 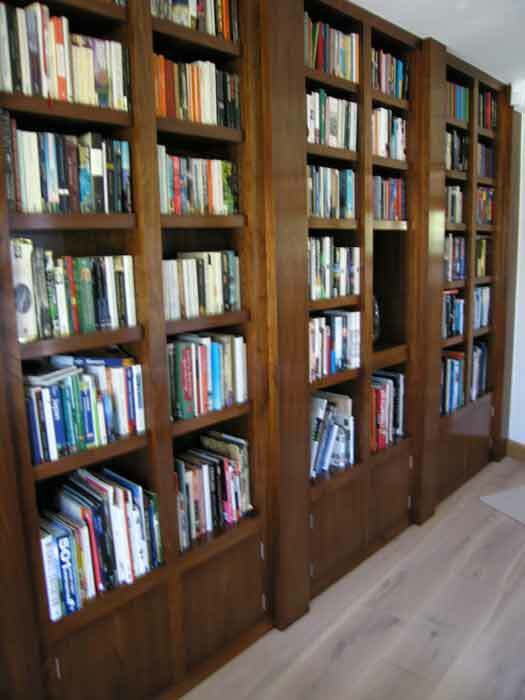 The completed bookcase was French polished to a chosen shade.